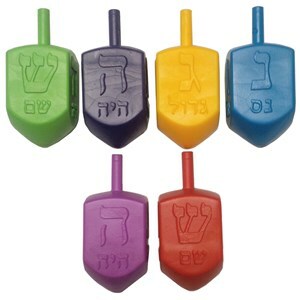 Assorted color plastic dreidels. Loose in a bag. 1.25" See #113 for larger size.